Skin rejuvenation is one of the fastest-growing disciplines in cosmetic medicine today. New products and treatments are being developed constantly to offer better results without compromising safety or convenience. Like laser skin resurfacing, a chemical peel is a skin care procedure designed to strip away damaged outer layers of skin from the body to reveal healthy layers beneath. Rather than relying on laser light, the chemical peel uses one of a number of chemical solutions formulated to penetrate the outer layers of skin without causing permanent damage. A chemical peel is an effective treatment for wrinkles, lines, acne, scarring, and uneven pigmentation. Temporary redness is a normal side effect, but it almost always fades quickly. The actual time of recovery varies depending on the specific chemical solution used and the condition of the patient’s skin. Many patients choose to combine their chemical peels with a face lift in order to enjoy a complete and transformative facial treatment. Our licensed aesthetician is available to evaluate your skin, make recommendations for in-office facial treatments, and suggest appropriate products for in-home skin care use. Laser hair removal is a popular skin care procedure among those who are tired of relying on temporary hair removal methods such as waxing, shaving, and plucking to control unwanted facial or body hair. A series of laser hair removal treatments is safe and effective enough to significantly reduce or eliminate unwanted hair growth on almost any area of the body. Laser hair removal treatment at our Los Angeles area plastic surgery office involves applying light from our Lumenis® LightSheer® laser to hair follicles in the affected area. The hair absorbs energy from the laser, permanently impairing the follicle while leaving the surrounding skin undamaged. 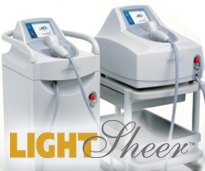 The treatment works best on darker, coarser hair and paler skin, but different laser techniques are available to treat different hair and skin tones. It is normal for laser hair removal patients to experience some minor swelling and redness, similar to a sunburn, after a treatment session. These side effects typically fade within 24 hours. Patients usually achieve an 80 to 90 percent reduction in unwanted hair growth with the aid of laser hair removal, although some of our patients report even more dramatic results. Laser hair removal treatments are available during our normal business hours. Laser skin care technology is also an invaluable tool for tattoo removal. During treatment, the tattoo ink absorbs energy from the laser beam. The ink molecules are destroyed, and the body gradually absorbs them. Different tattoos require different numbers of treatment sessions depending on their size, their age, and the color of ink used. Black and blue tend to respond better than green, yellow and red After a treatment session, most patients experience some minor redness and irritation which should fade within a week. For patients who prefer the convenience and flexibility of in-home skin care, Los Angeles plastic surgeon Dr. Martin O’Toole offers a variety of conventional and prescription-only skin care products. These products are chosen for their safety and strength, making dramatic results possible in the comfort of your own home. Some of the product lines we offer include Jan Marini®, and Kinerase®, we carry a complete line of products from SkinMedica®. Spider veins can be treated non-surgically through sclerotherapy. This safe, convenient skin care procedure is minimally invasive, involving a series of injections that cause the unwanted veins to shrink, fade, or disappear. Sclerotherapy is ideal for patients who are generally healthy and do not smoke. Women who are pregnant or breastfeeding should wait before having sclerotherapy performed. The actual treatment process for sclerotherapy simply requires micro-injections made directly into the problem veins. Over time, the treated veins harden and fade. Most patients require two sclerotherapy treatment sessions lasting between 30 and 60 minutes to achieve the best possible effect. Treatment is essentially painless, so most patients do not need anesthesia. After treatment, minor swelling and bruising are common. Most patients should wear a compression garment to promote vein shrinkage. Patients who undergo sclerotherapy typically see their final results within weeks of treatment and are pleased to enjoy smoother, clearer skin where they once had unsightly spider or varicose veins. Please contact Pasadena Cosmetic Surgery today to schedule your complimentary skin care consultation. Dr. Martin O’Toole serves patients in Los Angeles, Covina, Arcadia, and Hollywood, California.